Having a plumber you trust on speed dial can provide great peace of mind in an emergency. No one wants to have a plumbing emergency. You might prefer not to even think about the possibility. However, preparing for an emergency now is actually very important and can save you time, stress, and even money later on. 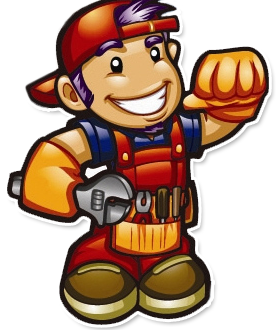 The Drain Dudes® is an excellent choice of emergency plumber to keep on speed dial just in case of an emergency. 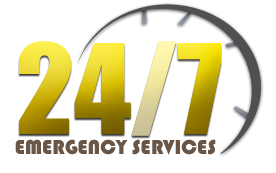 We offer 24/7 service from our fleet of experienced and respectful professional plumbers, and we will do everything in our power to help you recover from the emergency and get your plumbing back in good working condition in a fast and affordable manner. 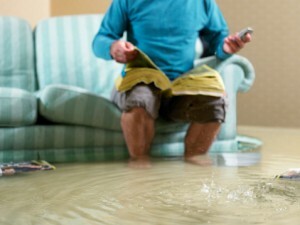 Here are 3 common emergency plumbing repair situations we can handle for you. A variety of factors can cause or contribute to a water pipe breaking, from excessive water pressure to bad joints to simple old age and corrosion. However, when you’ve got water streaming out of a burst pipe you probably don’t care why it happened so much as how you can make it stop. As a first step, you should try to locate the shutoff valve for the pipe and stop the flow of water. Then call The Drain Dudes®. We can provide expert pipe repair to replace the damaged section of pipe. If corrosion was the culprit, we will also provide a video inspection of your plumbing to check for other problem areas that may need to be addressed proactively. We offer convenient low-dig and no-dig pipe repair options to minimize disruption to your property. A blocked toilet can be a serious problem, especially if your home or business only has one commode! Rather than suffer through a night without working plumbing, you can call The Drain Dudes® for emergency service. We’ll help get your toilet flushing like normal again to eliminate the inconvenient, uncomfortable, and unsanitary situation created by a clogged toilet. We are experts in drain cleaning so whether it is the toilet itself that is blocked or your main drain line we can help. Ideally, you should get routine drain cleaning services for your property (and septic tank pump outs if necessary) in order to minimize your risk of a messy and unsanitary sewage backup in your home or business. However, if you’ve neglected your maintenance or had some other kind of emergency, you can call The Drain Dudes® for help controlling a sewage backup. Our expert plumbers can quickly and correctly identify the root cause of your problem and recommend a solution. We’ll fix your pipes fast so you can get a professional sewage damage remediation team in to clean up your property.